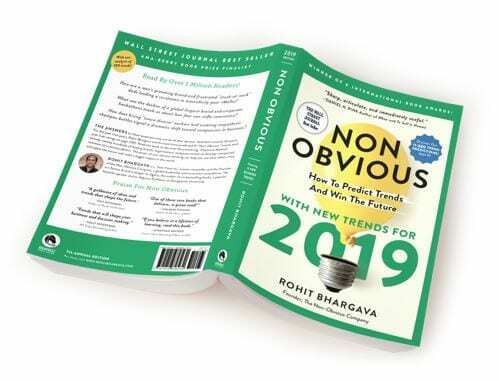 The ALL NEW 2019 edition of the Wall Street Journal bestseller Non-Obvious featuring 15 NEW trends and updated ratings of over 100 previously predicted trends! 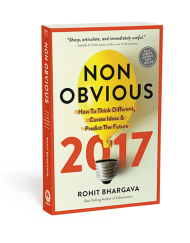 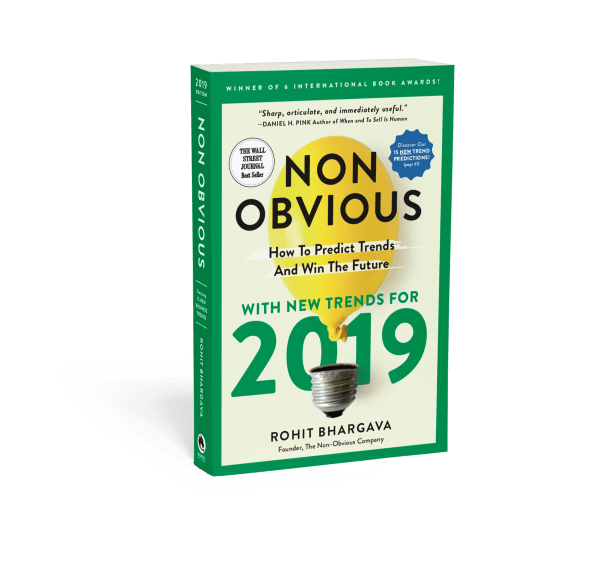 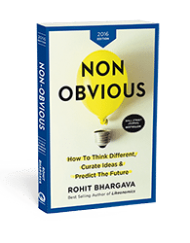 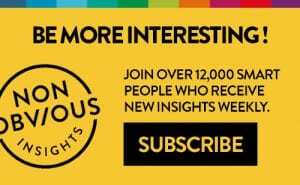 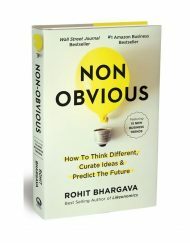 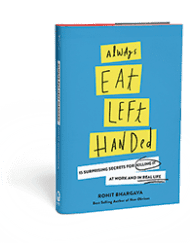 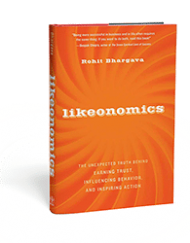 For the past 9 years, marketing expert and Georgetown University Professor Rohit Bhargava has curated his best-selling list of non-obvious trends by asking the questions that most trend predictors miss. 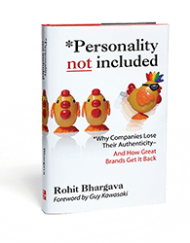 It’s why his insights on future trends and the art of curating trends have been utilized by dozens of the biggest brands and organizations in the world like Intel, Under Armour and the World Bank. In total, the Non-Obvious 2019 Edition features 15 all-new trends for 2017 across 5 categories including Culture & Consumer Behavior, Marketing & Social Media, Media & Education, Technology & Design plus Economics & Entrepreneurship. 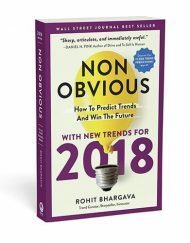 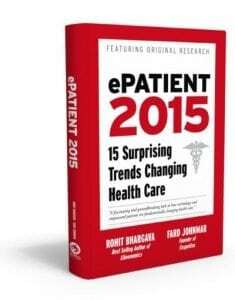 The book also features a detailed section with a review and rating for more than 100 previously predicted trends – with longevity ratings for each.